Mike Marsiglia served 25 years with Anne Arundel County Fire Department as a Firefighter Paramedic and Lieutenant Supervisor retiring in 2001. Was one of the first nationally registered paramedics in the state of MD. 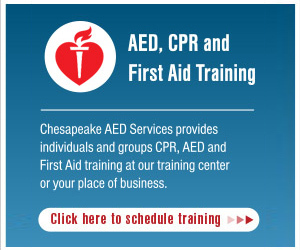 Started Chesapeake Training Services in 2003 and has been a CPR instructor for over 30 years. Current position is President, Chesapeake AED Services, and LLC. Joined Chesapeake AED Services in April 2007. Instructing CPR techniques and AED use is an extremely rewarding experience. When our students receive their certification, they are ready and confident to help save a life. William is a regional member of the 3CPR Council and the CVDY Council and have over 10 years’ combined experience in clinical emergency medicine, pharmacy, and education. I am also a MD Opioid Overdose Instructor. I’ve been teaching classes for over 5 years with the company. John has been a CPR instructor for over 30 years. I teach ALS, ACLS, BLS, EMT, First Aid, GEMS, PALS, PHTLS. I also teach and supervise Paramedics with the Baltimore County Fire Department and affiliated to teach with the University of Maryland and Bayview Hospital.